Home > India Demonetisation > Demonetization Move - The 3 models of Consolidation of the Indian Realty Industry: The Road Ahead..! 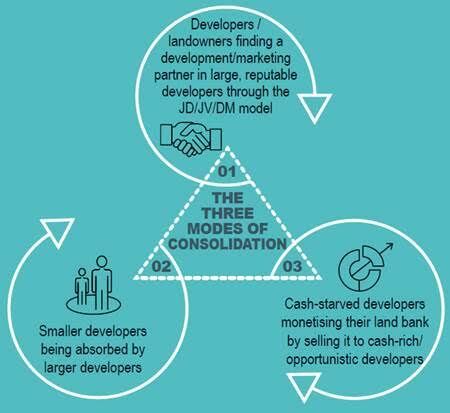 Demonetization Move - The 3 models of Consolidation of the Indian Realty Industry: The Road Ahead..! Demonetization Move : Consolidation of the Indian Realty Industry: The Road Ahead..! The government’s demonetization move is bound to lead to further consolidation in the overcrowded Indian real estate industry. This move has already started affecting demand for developers who preferred unaccounted money, adding to their liquidity woes. Debt-laden real estate developers, who have been gearing up for bigger cash crunch with the implementation of Real Estate (Regulation & Development) Bill or RERA, now have demonetization to add to their woes. The move has already started affecting demand for unscrupulous developers. In the longer term, these two steps taken by the government will indeed transform the overall image of the Indian real estate sector. 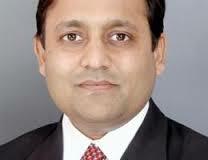 In the interim, however, the overcrowded Indian real estate industry is set to see consolidation activity pick up pace. The latter two, on the other hand, would showcase the power of capital. The purchasing power of every Indian rupee or US dollar will increase and money will move in the direction of good quality land banks – Grade-A locations, followed by Grade-B locations. We have already witnessed a few instances of developers’ monetising their land parcels by selling them to their competitors. While the consolidation is undeniable, the pace of it will depend on the quantum of equity infusion by the larger PE investors and the strategy adopted by foreign developers who may enter. A few have already entered India and are in the process of setting up their base with a long-term view. Fosun International, a Chinese conglomerate, has revealed its plans to invest up to USD 1 billion in India, whereas developers such as the Dalian Wanda Group (looking to invest USD 10 billion) and China Fortune Land Development Company (signed a Memorandum Of Understanding (MOU) with the Haryana Government to develop large-format industrial parks) are tying up with state governments to set a base for large-scale development. A few investors/developers may opt to take the plunge in this market straight away (like Macquarie and Fosun) and a few might prefer the wait-&-watch approach, but we believe the industry is set to consolidate in the next five years. By 2021, we will see larger players consolidating their positions even further while the number of smaller players will reduce considerably. In both cases, equity investment or the lack of it will play a deciding role.